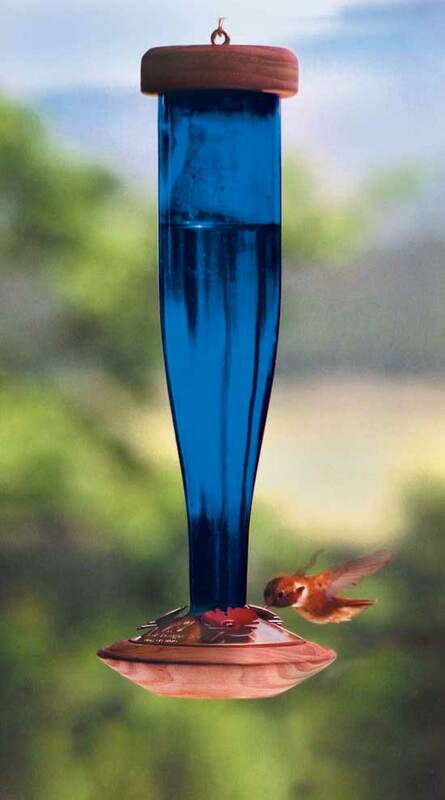 Cobalt Lantern Hummingbird Feeder. Beautiful cobalt glass. The shimmering, kiln-fired recycled glass has an irridescent sheen.